The COUNTY batting gloves consist of high quality lightweight PU backed batting gloves that can be p.. The finest cricket caps available from as little as £11.49 (VAT free). 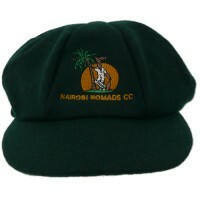 In the past we have received many enquiries for wool blend cricket caps. Many enquiries led to very few orders, either because the price was too high, with what was available at that time, or the colours of the caps, maroon in particular, were not what was required (too pink, not deep West Indies maroon). Move forward to the current day an we now offer our own brand of English traditional style wool blend caps and Aussie style ‘Baggies’. They are a wool blend, 8 panel design, with double elasticated sides on the Baggy Caps and a single elasticated back on the traditional caps for a comfortable fit. They are lined for comfort and specifically designed for direct embroidery. The brand has grown, by word of mouth, because we know what clubs are looking for. Our standard caps are designed in England, made in China to the highest quality standards, but embroidered in England, so that we have more control of the overall quality and turnaround times. What are the standard colours held in stock? We hold stock of both English style traditional caps and Australian baggy style caps, in navy, maroon and green. Turn-around times depend on the work load of our UK based embroiderer, but should be no more than 3 weeks, usually within 2 weeks. Do we make non-standard caps? 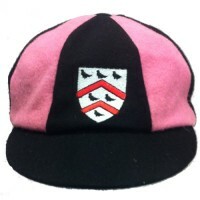 Yes we offer a range of made to order products including non-standard colours, hooped and honour caps. We also offer totally bespoke baseball and snap-back caps. Do we supply any County Clubs? We currently provide Derbyshire CCC, Yorkshire CCC, Leicestershire CCC and Glamorgan CCC with their 1st Xl County caps and most recently Lancashire County Cricket Club 1st Xl. Do we offer any other products? We offer team embroidered sun hats, team embroidered playing shirts and training kit and totally bespoke sublimated teamwear. We also offer hand crafted, custom made bats, and bespoke trophies using each clubs own badge for the trophy centres. Shrey embroidered Club helmets. 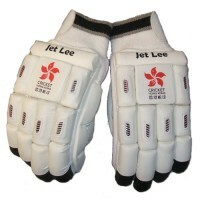 We offer personalised cricket gifts, including batting gloves. We host Club Shops for Cricket Clubs free of charge; Stock isn't held by individual clubs and your members can shop 24/7, at times to suit them. We hope you enjoy browsing our website and if you have any questions do not hesitate to get in touch via our email address or by phone..